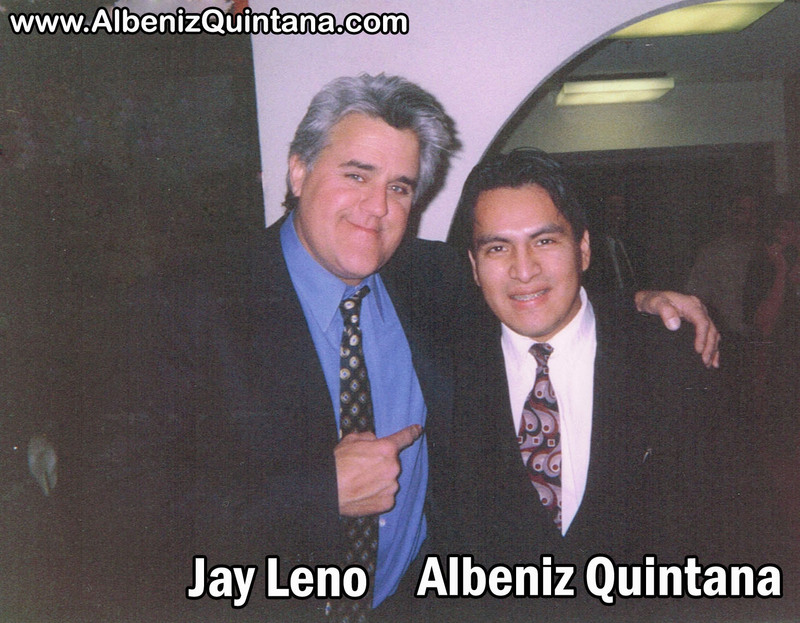 It’s almost impossible to find a single person that has built a real musical career and a resume that includes almost every category and style of music, and that has worked in every phase, division, and department in the Entertainment industry and music production until you hear about Albeniz Quintana. 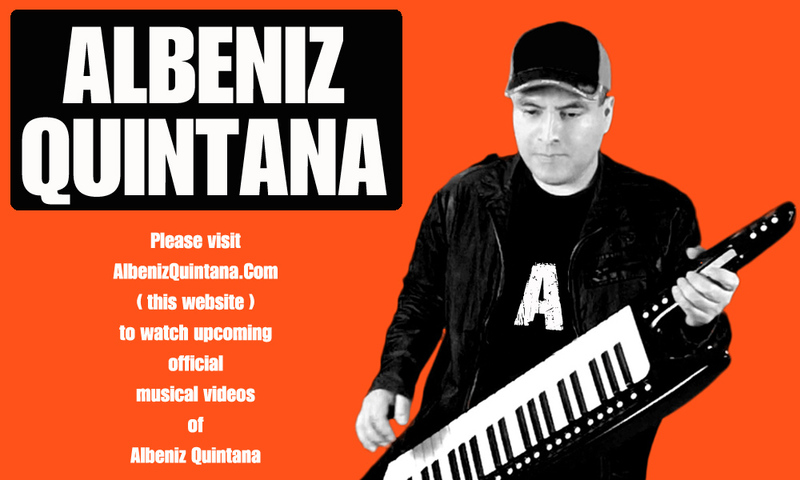 Albeniz Quintana is a multi-phase producer, record producer, executive producer, multimedia producer, songwriter, musical arranger, band leader, musician, and studio sound engineer. And since he has an extensive and vast experience in the production field, he soon is going to launch his own and different record labels and publishing libraries. The purpose of this website is to show you upcoming Official Musical Videos of Albeniz Quintana, and NOT about his previous work and performances. But since many of you wrote to us and told us to share at least something of Albeniz, we are going to share only a small fraction of Albeniz previous performances. In the Film and Television industry, Albeniz has recorded the piano track for movie soundtracks of films such as “Dance With Me”, “Hot Tamale”, "The Bounce Back", “Alias”, “Knockout”, “Death To Smoochy”, “Ivory Tower”, “Leila”, and music background for Television series such as “Love Boat – The Next Wave (El Crucero del Amor)”, “Moesha”, “Alias” to mention just a few. Dance With Me - Albeniz Quintana recorded the piano for this movie soundtrack. The great singers in this movie soundtrack are Chayanne and Vanessa Williams. 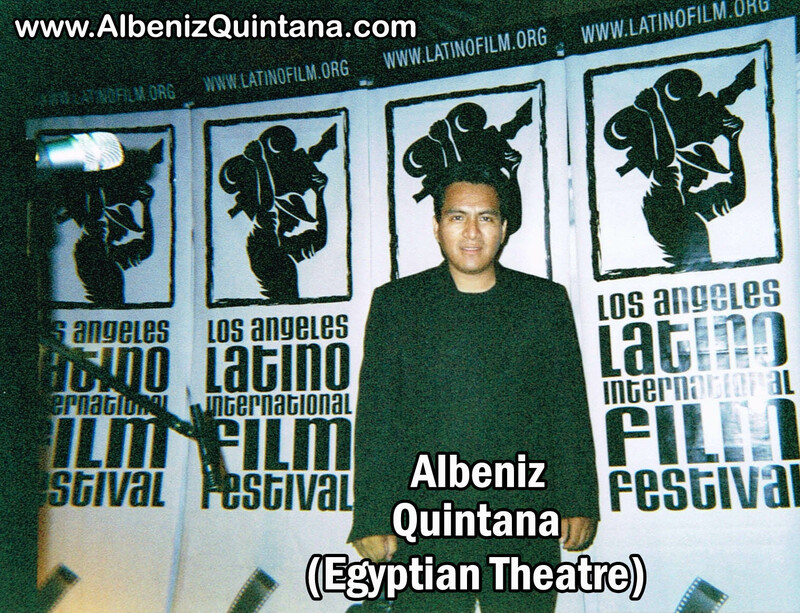 Hot Tamale - Albeniz Quintana recorded the piano for this movie soundtrack. Alias - Albeniz Quintana recorded the piano for this TV Show soundtrack. Love Boat, The Next Wave (El Crucero del Amor) - Albeniz Quintana recorded the piano for this TV Show soundtrack. 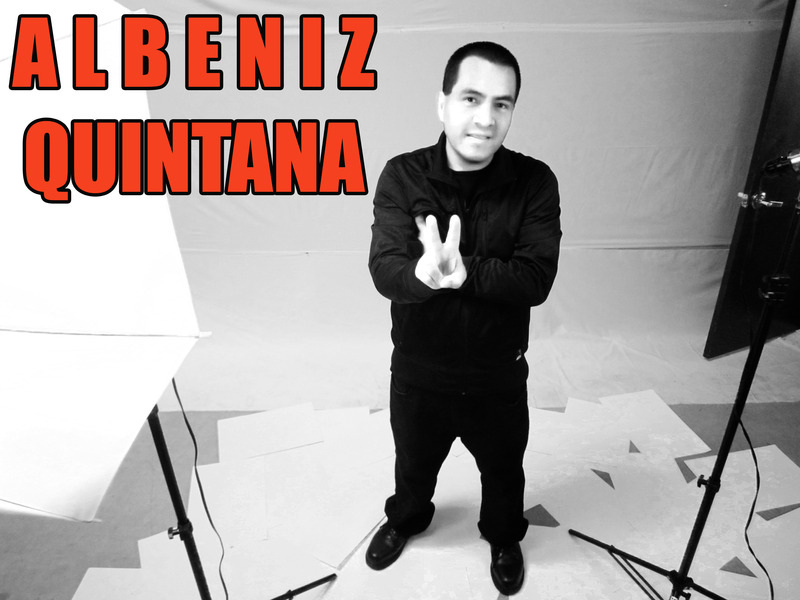 In the TV Commercial and Jingle industry, Albeniz has appeared or recorded on commercials for varies companies such as “Blackberry”, “Miller Light”, “Nike”, “Tecate”, “Doritos”, “Adidas”, "Toyota", "Ford", "T-Mobil", "Fanta", “Quesos Marquez”, "KIIS FM Radio", "Power 106 Radio", "Super Estrella Radio", "Radio TriColor", "Deardens" to mention just a few. 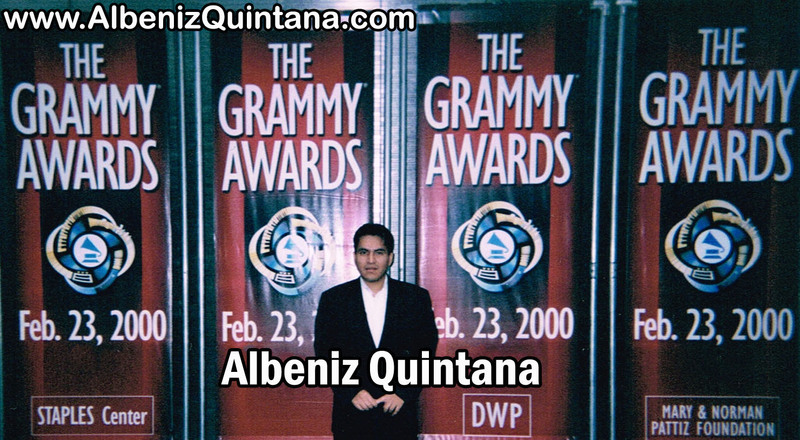 As a performing musician Albeniz has performed in hundreds of great Red Carpet events such as the Grammy, Latin Grammy, Latin Grammy Street Parties, The Oscar After Parties, many Movie Release After Parties, Latino Film Festival, Disneyland Resort, Universal Studios, Magic Mountain, Madison Square Garden, Staples Center, House of Blues (Miami and Los Angeles), Lincoln Center, Ford Amphitheater, Egyptian Theater, Kodak Theater, Hollywood Bowl, Universal CityWalk, Home Depot Center, Dodgers Stadium, Rose Bowl Stadium, Rose Bowl Parade, Knott's Berry Farm, Times Square New York, Las Vegas hotels such as New York New York, Caesars Palace, MGM, Mandalay, The Cosmopolitan, Bellagio, The J. Paul Getty Museum, Calle Ocho Carnaval Miami, Fiesta Broadway Los Angeles, to mention just a few. 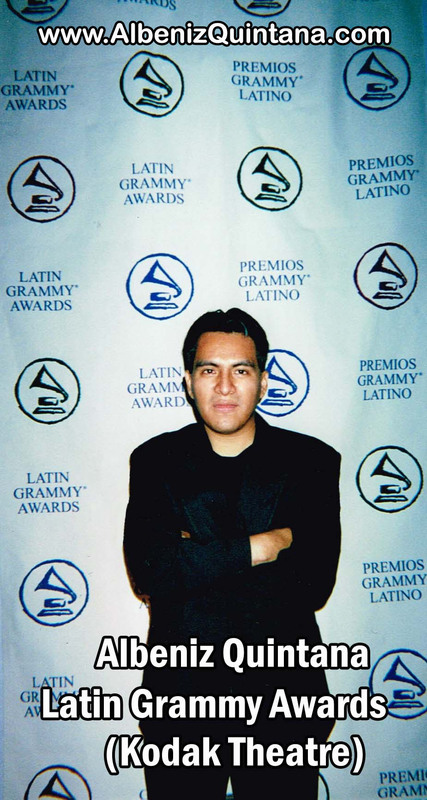 As a performing musician Albeniz has performed in TV Shows such as The Tonight Show, Arsenio Hall, Don Francisco, Cristina, Caliente, and many shows from TV Channels such as Telemundo, Univision, Telefutura, Azteca America, CBS, PBS, NBC, KTLA, ABC 7, FOX, Channel 22, Galavision, TV Azteca, to mention just a few. 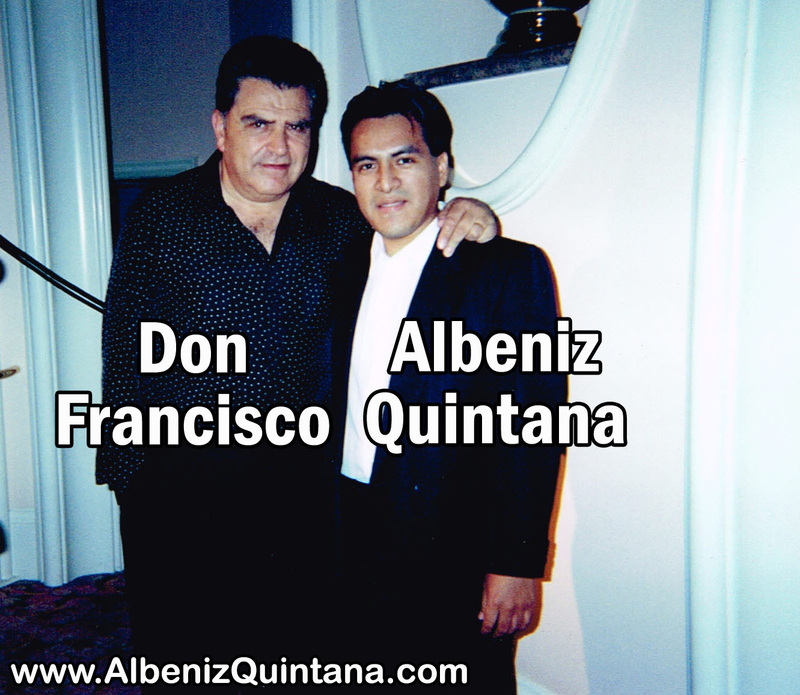 Albeniz Quintana has proved all over the years that he is truly a very versatile musician. JotDog - Albeniz Quintana accompanying JotDob, a great Pop and Rock band. Laura Pausini - Albeniz Quintana on keyboards and additional musical arragement. This Techno / House version was produced by Byron Brizuela. Video by Hector Chavez. Tito Nieves - Albeniz Quintana accompanying Tito Nieves, a great singer. Leslie Grace - Albeniz Quintana accompanying Leslie Grace, a great Bachata and Pop singer. Albeniz Quintana at age 13 playing Salsa. Rocio y Su Sonora - Albeniz Quintana accompanying Rocio y Su Sonora, a great Cumbia band. Johnny Polanco y su Conjunto Amistad - Albeniz Quintana accompanying Johnny Polanco y su Conjunto Amistad, a great Salsa band.